Cramped in the current SF office, moving soon. 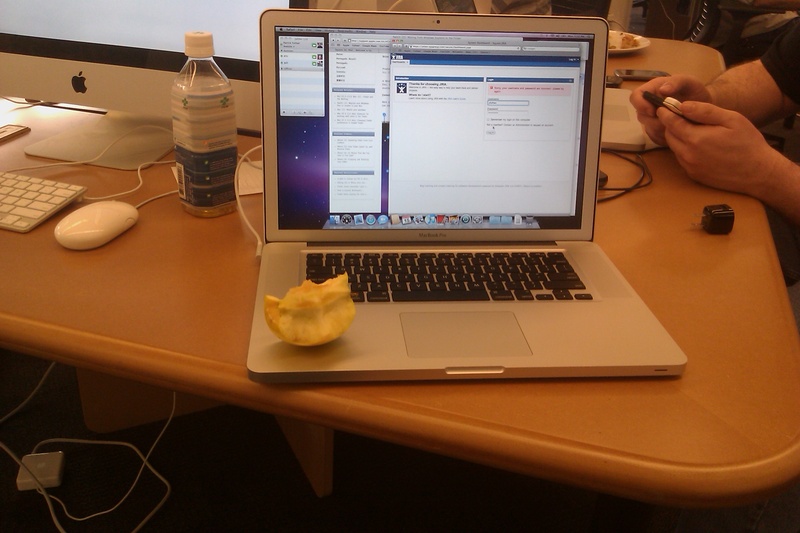 Touchpad is enormous. And borderline non-functional. I’ve got Ubuntu in a VirtualBox and I’m loving it. In one singular case (extract method), it actually seemed smarter than Eclipse. Missing flyovers of, well, everything. Sometimes a man likes to hover without touching anything. Wildly misleading web documents for Mac users. Manages to have more property pages than Eclipse. Is getting replaced by Eclipse soon, perhaps this evening. 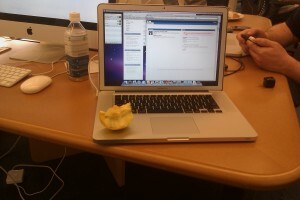 This entry was posted in Family, Technical and tagged apple, san francisco, square. Bookmark the permalink.